I am a Raincoast Conservation Foundation Biologist and a Post-doctoral fellow with the Applied Conservation Sciences Lab at the University of Victoria. I am based in Wáglisla, W̓áxv:w̓uísax̌vs Haíɫzaqv (Bella Bella, Heiltsuk First Nation Territory). My colleagues and I investigate the role of science in wildlife management and conservation. We study British Columbia’s populations of black and grizzly bears to explore various concerns related to this overlap, including the effects of food availability on bear diet, population dynamics, and bear-human conflict, and risks posed by trophy hunt management. The scale of these investigations ranges from provincial (using government datasets) to the Central Coast, where we partner with the Haíɫzaqv, Wuikinuxv, Kitasoo/Xai’xais, and Nuxalk First Nations to conduct non-invasive field monitoring of grizzly and black (including spirit bear) populations across an area of >22,000 km2. My colleagues and I also investigate natural resource management more broadly, assessing the rigour of current grizzly bear management in British Columbia, the inclusion of scientific principles in wildlife management across North America, and the role of values in environmental management. Much of my work occurs in collaboration with the Heiltsuk Integrated Resource Management Department, Qqs Projects Society, Spirit Bear Research Foundation, and the Central Coast Bear Working Group (see Raincoast Heiltsuk Territory Project Background and 2013 Updates, www.bearsforever.ca, and coastalfirstnations.ca). Please consider visiting the links above to see what my colleagues are up to, or follow the #WFellows hashtag on twitter for a stream of wisdom from inspiring scientists across North America. 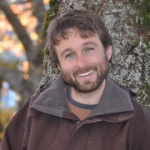 I completed my PhD as a Hakai Scholar with the Tula Foundation, a Vanier Scholar, and a Wilburforce Fellow, co-supervised by Dr. John Reynolds of the Earth2Ocean group at Simon Fraser University and Chris Darimont at the University of Victoria. A semester of this degree was also spent in Aotearoa (New Zealand) as a visiting student, working with Dr. Janet Stephenson at the University of Otago’s Centre for Sustainability. In 2018 and 2019 I taught Geography 353, “Coastal and Marine Resources”, at the University of Victoria.